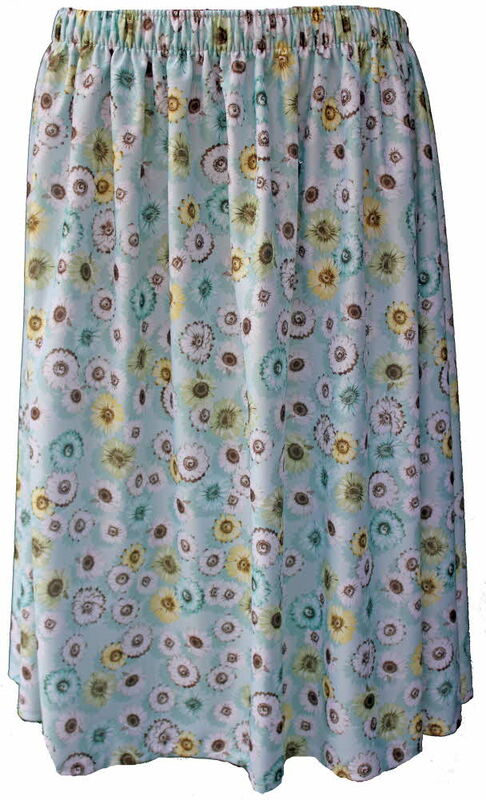 Ladies Aqua Daisy patterned skirt. Will fit from UK size 14 - 26 due to our own unique elasticated waist with amazing stretch without being too tight or too loose. Powered by ShopFactory to sell P594 online. All-in one eCommerce and online shopping cart software.